What makes having a Limo so much fun? It’s Limelight Limos Saskatoon Customers of course. No matter what the event, we find it is our customers that make the ride great! It’s not very often people think to add a limo to their plans but when they do it makes a fun event extraordinary. And while the limo ride is always amazing it is the people, our cusotmers, that make it super fun. We are so lucky to be apart of so many great limo rides throughout Saskatoon and area. Or do you have something a little more formal in mind? We love driving around wedding parties and graduations. Everyone is dressed to the nine’s and full of anticipation. We get to be apart of so many special days it is actually incredible. And of course, those incredible days come with incredible clients and passengers. What Type of Event is a “Limo” Event? The answer to this question is easy. Every event!!! There is no event too small or insignificant for a limousine ride through Saskatoon. We love driving kids around as part of their birthday parties. They are so excited and feel like they are the Queens or Kings of the world. The silliness they bring with them always gives our drivers a chuckle. On the flip side taking around a bunch of guys and gals on their party night is just as much fun and brings a totally different type of “silliness.” And we can’t forget our favorite; taking a group to the new Mosaic Stadium to watch our incredible Roughriders. 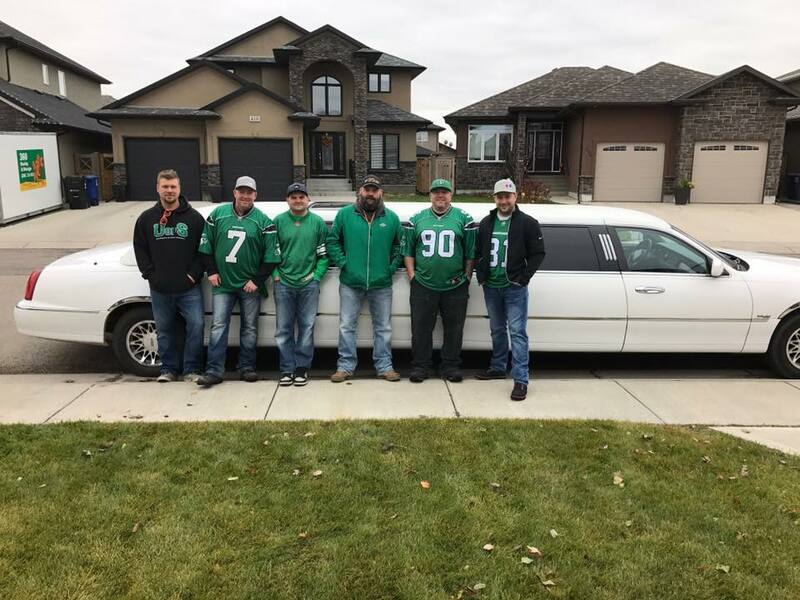 Limelight Limos is an affordable, unforgettable Saskatoon car service that will compliment your night out for any occasion. We hire professional chauffeurs to ensure you are well taken care of. Get ready to impress with Limelight Limos. Our feature 14 Passenger Stretch SUV will WOW you and your party in any event to any destination. Check out the luxurious features. Copyright © 2019 Limelight Limos. All Rights Reserved.